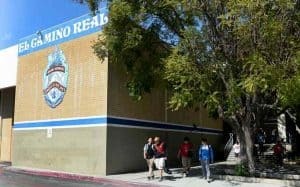 El Camino Real High School College Counseling is available… but is it right for your student? El Camino High School (sometimes called El Camino Real Charter High School, El Camino, ECR, ECRCHS or ElCo) in Woodland Hills is one of the largest high schools in Los Angeles, California. As with other public schools, El Camino offers free college counseling to all of its students. Your child will be assigned one of the 7 guidance counselors based on your child’s last name upon enrollment at ElCo. He or she will have an introductory “getting to know you” session with the counselor within the first few weeks of entering school. However, with a student enrollment of over 3,800, your child will be one of about 135 seniors assigned to that counselor, who will also be responsible for advising over 300+ students in other grades as well. El Camino counselors do double and triple duty, serving also as guidance counselors and behavioral counselors for their students. And as with many public schools, some El Camino counselors are former teachers with limited training in college advising. With limited budgets and limited staffing, it’s a sad fact that El Camino’s college counselors spend an average of about 38 minutes with each student over the course of four years. Your child has worked hard at El Camino to earn their grades, participate in clubs and organizations, and to grow as a young adult. And soon, you are going to invest tens of thousands of dollars in a great college education – the next step. It might be more accurate to say that you are about to invest heavily in a successful life for your child. Would you like to make sure your child has the best opportunity to get into the right college and prepare for the life you wish for him or her? Planning to make sure the student takes the right classes they need to get into the colleges they’re thinking about. This should start as early as 9th or 10th grade. Working on their college lists throughout 11th grade. You need a professional college counselor who is committed to doing just one thing: getting your child into the right college. At Magellan College Counseling, we get to know your student, including his or her hopes, dreams, aspirations, talents, and unique abilities. The relationship between a student and counselor is vital to the success of a college search, so we match you and your student with one of our professional college counselors based on best fit, rather than based on the alphabet. Every one of our counselors is a member of two or more major college counseling organizations and we abide by the standards set by those professional organizations. Our college counselors have each visited colleges all around the country, and together our team has visited over 300 colleges and universities in North America, which gives us a very personal sense of each school, and how it might fit your student. (Most El Camino counselors have time and budget constraints that prevent them from visiting colleges or attending professional development conferences). Each of our college counselors has several specialties (athletics, STEM, performing arts, learning challenges and Engineering, to name a few). And perhaps most importantly, each counselor at Magellan works with just a handful of students at a time, which allows us to give each of our students the time and attention that they – and you – deserve. Your student will get the counselor’s personal attention every step of the way, from those early hopes and dreams all the way to making the final choice among the (often) multiple college acceptance letters. Our counselors have been very successful with getting El Camino Real students into the colleges and universities of their choice. Curious about how Magellan College Counseling can help get your child into the right college? Then let’s say hello and get to know each other! Use our contact form or call us at 877-5-MAGGIE (877-562-4443).